Hello, we are Steven and Sharon Storey. Three years ago, after a healthy and completely unremarkable pregnancy, we delivered a beautiful, healthy baby girl named Lulu (short for Louisa).....and found out that she had Down syndrome about 60 minutes later. Two days after that, we found out that she had two holes in her heart. Almost exactly a year after that date, we would start to suspect that our then- 4 year old, Max, had something called Sensory Processing Disorder. 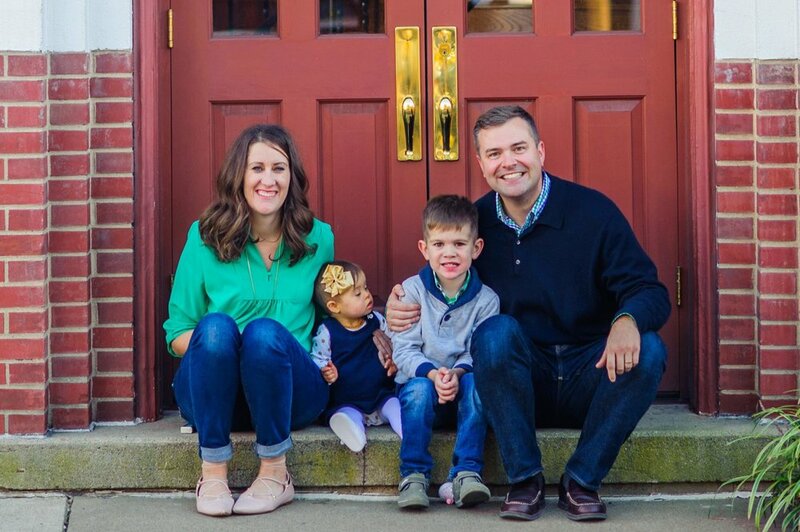 In the course of about a year, we had gone from being your average parents to balancing two kids with some extra, “special” needs, and one with some medical complications. It has been a whirlwind, but believe us when we say that (aside from maybe a hospital visit or two), we wouldn't change a thing!